Let your child have some musical fun with the junior Rockin Drum Set. 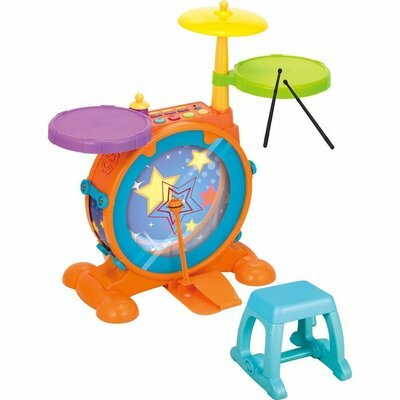 The junior drum set is design for children aged between 2- 5 years. It has different play modes including hit along, free play, play right, and non-stop hit. The drum set includes everything that your child would need for his kids rock band. It has combination drums that include electronic cymbal, tom drum, snare drum, and real bass drum with pedal to entertain your kid. The junior drum set also features two drum stick and a stool for added fun and entertainment.